Diving test Sotogrande. 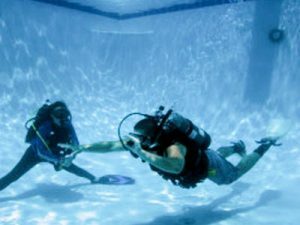 Do you want try what you feel under water but still do not know if you want to be a certified diver? The initiation programs can be used as a test. 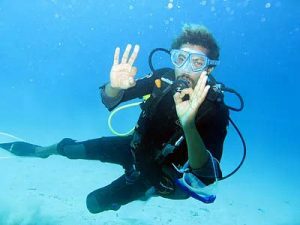 This way you see if a diving course with certification is really what you are looking for. Do your diving test and decide! do not worry. If you do not know which to choose, get in touch with us and we will advise you. 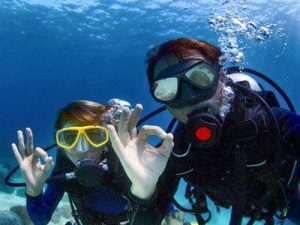 Your PADI Pro will likely provide all the basic scuba gearyou’ll use including a mask, snorkel, fins, regulator, buoyancy control device, dive gauges and a tank. Visit our PADI 5 star Dive Centerto learn more about the gear you will need to start your adventures in Discover Scuba Diving.